R.G. Apel Development designed a guest bath that combines both form and function. You can enter the bath through the custom three-lighted door from either the bedroom or the hallway. The most striking feature in the bath is the specifically designed polished stainless steel trim that is used throughout the space. The metal accents the shower entry and is the material used for the apron molding around the vanity. The material ties in the modern stainless steel vessel sink, which sits atop a l2-inch thick glass top custom made in Canada. Besides the ceiling, there is no drywall in the bathroom. 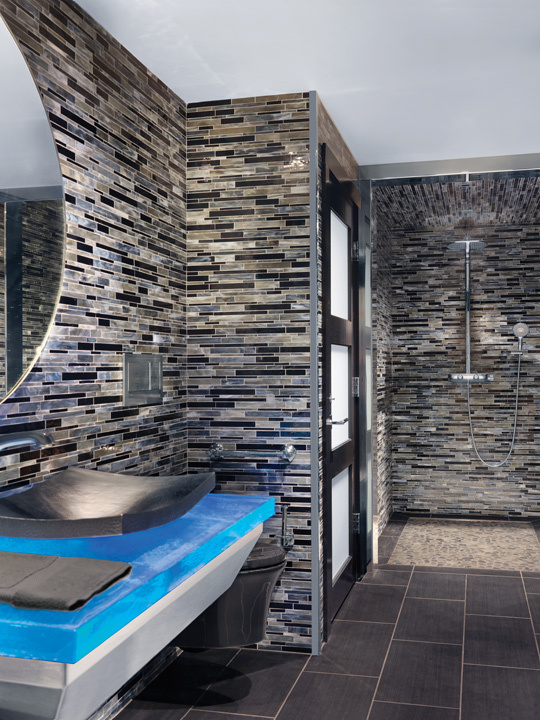 Instead nearly 500 square feet of linear mosaic glass tile is used giving the space a clean, sleek feel. Lighting highlights the contrast between the shine of the tile and steel for a masculine appearance. A heated floor keeps the space warm. This bathroom is totally accessible, including the no-threshold shower entry. This bathroom is contemporary in design but still very warm feeling. We love the use of tile and the play on texture between the glass mosaic and steel. 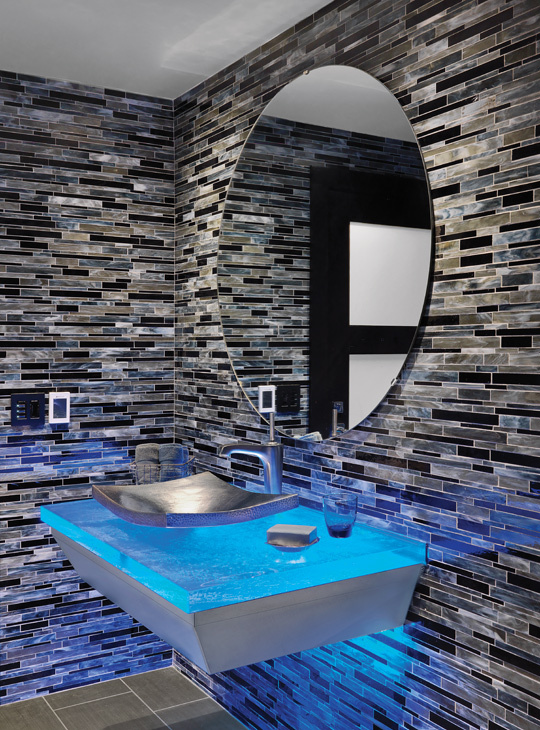 The subtle lighting lets the tile shine.